From 29 to 30 May, the Institute of High Energy Physics held China’s second Linear Collider Workshop (CLCWS12) in Xijiao Hotel, Beijing. 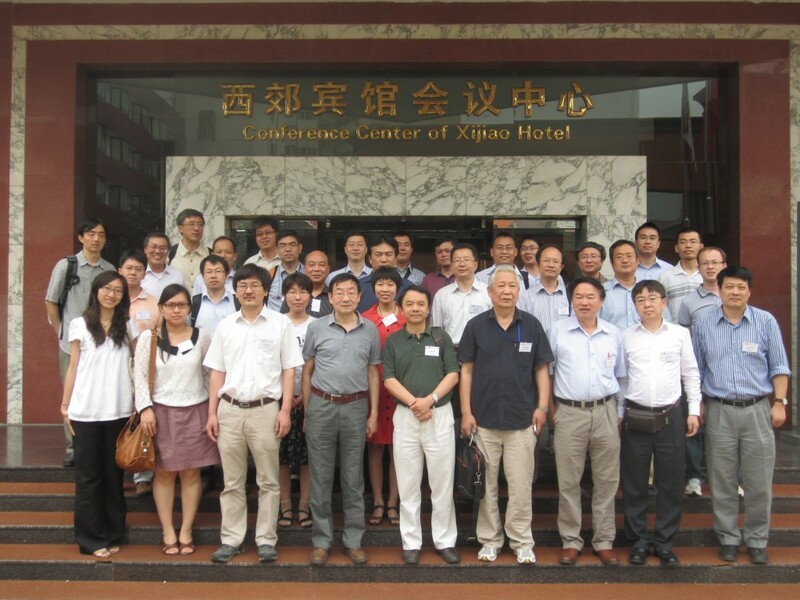 Following their first gathering in Beijing in 2010, this time, over thirty front-line scientists from theoretical physics, experimental physics, detectors and accelerators met again to exchange their ideas and have a comprehensive discussion about China’s future involvement in the International Linear Collider project. “The new workshop was held in front of the background that the whole community of particle physicists are looking forward to the possible new findings at LHC. Moreover, the global organisation framework of the ILC project is getting clear, so to answer the question how China joins in the pre-research and future construction of ILC project more constructively becomes increasingly urgent,” said Jie Gao, chair of CLCWS12 and of the Asian Linear Collider Steering Committee (ALCSC). The meeting started with a keynote speech from Yifang Wang, IHEP Director. In his speech, Wang explained that the development of China’s high-energy physics programme originated from international cooperation, as the country is experiencing a period of fast economic growth and improved international standing, the international cooperation called for a whole new approach. “Chinese scientists should secure a position in the future international cooperation, and joining in the ILC project more intensively would definitely be an excellent opportunity at present,” Wang pointed out. As chair of CLCWS12, Gao gave a general introduction on the progress of international cooperation in linear colliders. Then, ten talks ranging from recent status and progress on TeV physics, ILC experimental physics R&D, linear collider detector design and technology development, Z factory, and linear collider accelerator R&D were given by experts from different institutes and universities such asTsinghua University, Nanjing University, Peking University, Central China Normal University, Xi’an Jiaotong University, University of Science and Technology of China (USTC), Institute of Theoretical Physics, Technical Institute of Physics and Chemistry, Institute of Electronic and IHEP. Following the talks, heated discussions were held among the scientists. A unanimous consensus was reached that China should play an active role in ILC international cooperation and key technology R&D on accelerator and detector should be further pushed ahead. It was concluded that Chinese scientists must be well prepared according to Chinese government guideline for participating in large-scale international scientific collaboration and raise more dedicated linear collider funds. From 19 to 21 December 2012, the second Fragrant Mountain Meeting – the top level scientific strategy meeting in China – on ILC will be held in Beijing. “We must be well prepared to guarantee the success of this important meeting both for domestic and international community in the era of the new linear collider organisation,” said Gao. It is good to know that the second Fragrant Mountain Meeting will be held on December 19 -21, and I sincerely wish that the meeting will be a success.